The focus of this case is to investigate the political, environmental and geographic dynamics of China’s South-North Water Transfer project (SNWT). This government-backed, grandiose undertaking aims to move billions of cubic meters of fresh water from the south of China, where water is relatively plentiful, to the north where there’s a shortage. The plan includes an East, Central and Western corridor. Since the supposed announcement of the project by Mao Zedong in the early 1950’s, a national water supply system has only been on the books until recently when the dream has become a reality in the form of the largest and most expensive water supply system in the world. While China is able to afford these projects now, in terms of money and political power, it’s questionable if it will be able to finish by 2050, its slated final date of completion. While China continues to rapidly grow, urbanize and industrialize, it faces a Pandora’s Box of problems. Water may very well be the only foreseeable limiting factor to check China’s growth down the road if it cannot change its policies and maneuverability on the issue. The Communist government is security obsessed and uneasy over how constraining water issues could eventually break the high growth rate, reduce wealth generation and create unrest among China’s 1.3 billion inhabitants. With climate change already providing a measurable impact to China’s drought cycle and precipitation rate, and a resource overconsumption-oriented culture that compounds pollution, potable water levels are dropping fast. The SNWT seeks to re-balance China's internal water equation, but questions concerning its effectiveness and timely operation in the face of quickening climate change may hinder its foreseen success. As with all systems in reality, resources are finite and carrying capacity is very real; at this point it’s not a question if China will face a water crisis, but when. Eastern Route: 1,156 km long, moves 14.8 billion cubic meters of water a year, To: Tianjin region. From: Southern portion of the Yangtze River. Central Route: 1,267 km long, moves 13 billion cubic meter of water a year. To: Tianjin, Beijing and others. From: The Danjiangkou Reservoir on Han River. Western Route: 500 km long (noncontinuous), moves 8 billion cubic meters of water a year, From: Three tributaries of Yangtze River,(near Bayankala Mountain). To: Qinghai, Gansu, Shaanxi, Shanxi, Inner Mongolia and Ningxia Hui (semi-autonomous) provinces (Jaffe and Schneider, 2011). To cover the massive influx of water consumption and to balance out the uneven distribution, the Chinese government has proposed and is in the midst of a massive construction project called the South-North Water Transfer (or Diversion) project (SNWT). This $62 billion project aims to divert water from the rain-plentiful south to the water-limited north via three routes, the East, Central and West. By 2050, 44.8 billion cubic meters will go from the south to the north a year. 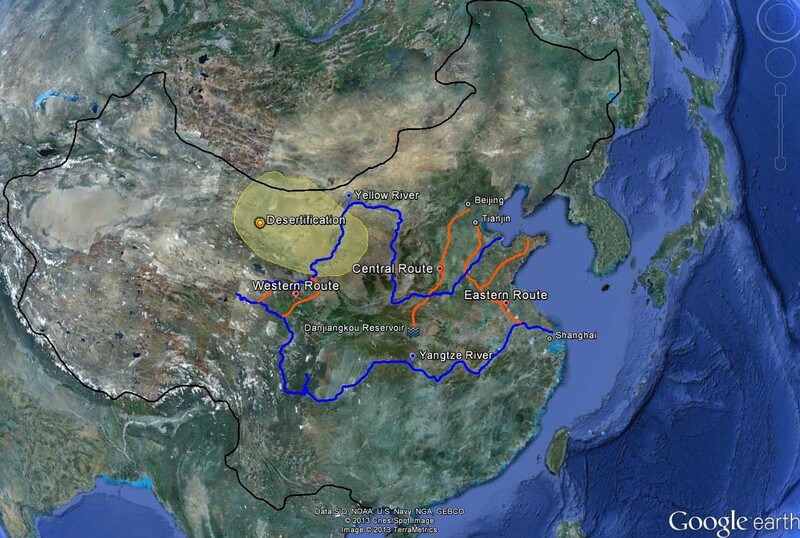 Basins in northern China will see their water supply increase by 34.5% as a result of the SNWT (Jaffe and Schneider, 2011). In total, the SNWT affects 12 provinces and collectively equals 1,900 miles of piping and canals. The Eastern route will move 14.8 billion cubic meters of water, the Central route will total 13 billion cubic meters in capacity and the Western route will move 8 billion cubic meters- if it's completely built, (the Western section is the only route that brings water straight to the Yellow River basin which has seen drastic reductions in rainfall and runoff, in turn desertifying the area). 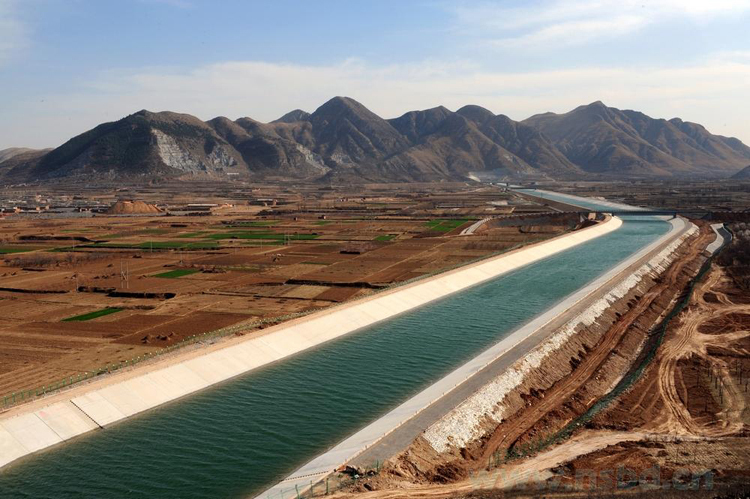 The Central and Western routes use only gravity to move their water while water in the Eastern route must be elevated to a height of 45 meters to get to its destination near Beijing and Tianjin. To get the water in this case to go uphill, in that amount, requires 2.8 billion kWh a year in pumping energy, or the full capacity of a 400 MW coal plant (Jaffe and Schneider, 2011). 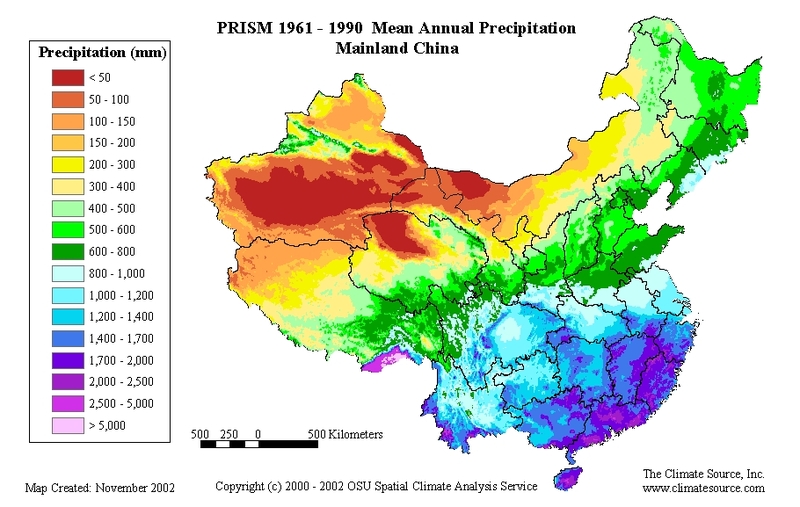 Climate change is predicted to increase temperatures throughout China, while reducing yearly precipitation in many areas of the country (Berrittellaa, et al., 2006). This may trigger a cyclical event where higher temperatures lead to more evaporation, and in turn, more consumption, especially of China's finite amount of ground water. The Huang, Huai and Hai river basins in northern China suffer from long-term droughts, these yearly droughts have reduced the water supply there by 14.5-21 billion cubic meters. In the last major drought of 2011, the adverse economic consequences were estimated to be $16 billion, spread throughout the entire Chinese economy (Berrittellaa, et al., 2006). The drought of 2011 even brought then-President Hu Jintao and Prime Minister Wen Jiabao into the fields to inspect failing crops (Bradsher, 2011). Even as China mobilizes industry and urban metropolises continue to aggressively expand, agriculture still takes up a huge swath of the Chinese domestic economy. The north has two thirds of the farmland and one fifth of the water resources (Pearce, 2009). China is still a Communist state, albeit one which utilizes a limited capitalist model for economic growth. This is seen by many as a safeguard against internal instability. To back up it's authority and respond to any gap in domestic integrity, the Chinese government controls $2.85 trillion in foreign cash reserves. The SNWT is partially paid for by these massive holdings. Additionally, the government easily has the ability to import food and counter any shortfalls in supply which could lead to popular discontent (Bradsher, 2011). As Chinese agriculture is pressured by climate change and a shortage of water, the government has increasingly had to change policy and provide stop-gap measures to fortify its food markets. The Ministry of Water Resources said in 2010 that national water consumption totaled 599 billion cubic meters, which is projected to increase by 1% annually and reach 670 billion cubic meters in 2020. That's almost a 12% increase within 10 years (Jaffe and Schneider, 2011). Former President Hu Jintao’s “Scientific Development Policy” heavily empathizes technology and infrastructure in solving China’s greatest domestic challenges (Jaffe and Schneider, 2011). Thus it should have come as no surprise that in the government’s 12th Five-Year Plan in 2011, it signaled its approval of the Western route’s construction in the western part of the country. Even as the Eastern route is plagued with pollution problems and the Central route is only partially done, the central government has given the green light for an even more precarious section in the mountains to the west. On paper the annual payback rate for the entire SNWT project is 36% and will take less than four years on a return on investment, not a bad investment numbers-wise (Berrittellaa, et al., 2006). This figure is predicated on the economic losses from previous droughts where the northern basins experienced a shortfall in water supply which led to economic losses. Realistically however, when future growth rates and a more impactful climate are taken into consideration, the payback time could be substantially longer and result in much a lower return on investment. There is a deluge of policy work and even overt dialogue concerning China's domestic climate change and its impact on the SNWT project. It may be due to the fact that the Chinese government still doesn't classify climate change as a national security issue. This avoidance can be explained in a couple of ways: an official recognition of climate impact would put more pressure on the government to set binding international carbon reduction targets and it contradicts China's strongly held principle of noninterference, whereby they push away or ignores unconventional security paradigms (Moore, 2009). To the Chinese Government, the South-North Water Transfer project (SNWT) is a tool in their box for maintaining internal stability. Economics plays a significant role in the reasoning for the SNWT project. Less than 30% of China’s GDP and agricultural land is dependent on 10% of the country’s water supply (Berrittellaa, et al., 2006). Agriculture alone uses two thirds of China’s water resources and a lot of that is either wasted or ends up as nitrogen-tainted pollution due to their notoriously inefficient irrigation methods and infrastructure. According to the Swiss Federal Institute of Aquatic Science and Technology, China pumps 1200 cubic kilometers of ground and river water annually for its fields (Pearce, 2009). Heavy industry, gas-shale drilling and mining takes up another large portion of the water pie in northern China and is only expected to consume a larger portion as the economy grows. China is trying to limit water use in the north where many extractive industries are centered. The government is pressing for water free or water efficient fossil fuel processing, more renewables that don't use water at all and less intensive agricultural activity. Even so, coal extraction will grow to 1 billion tons a year by 2020 in Inner Mongolia, Xinjiang, Shanxi and Ningxia (Jaffe and Schneider, 2011). The SNWT may have negative consequences on the economy. It's predicted that municipal, agricultural and industrial water prices will increase in northern regions. As a result, cities like Beijing, Tianjin, Qingdao and Dalian are already looking to desalinization to provide cheaper, sustainable water, cutting out the pipeline's purpose (Schneider, 2012). The Chinese economy will grow by 60% by 2020, expanding by more than half. China’s government has recognized that only increasing the supply side will not solve the problem, that’s why they’ve pledged to cut 60% of the water per GDP dollar by 2020 (Pearce, 2009). Essentially by 2020, in theory, China will use as much water as it does today. For one, this target is still unsustainable considering climate change’s future effects and unrealistic given the government’s track record on conservation. The SNWT project attempts to tackle a potential food security issue. The more expensive water is, the higher food prices will be. Importing food is becoming cheaper. China’s wheat imports rose to 1.2 million tons in 2010, from just 31,900 tons in 2008. As food prices increase they contribute to higher inflation. Prices rose 4.6% in 2010 (Bradsher, 2011) Meat consumption especially (chicken, pig, and cow) is predicted to rise further with increasing wealth and an expanding middle class. To feed these animals it requires grain and 20% of China’s grain is grown in desert provinces, zones vulnerable to climate change and drought. (Schneider, 2012). Eastern Pipeline: Jiangsu, Anhui, Shandong, Hebei, Tianjin provinces. Central Pipeline: Hubei, Henan, Tianjin, Beijing provinces. Western Pipeline: Qinghai, Gansu, Shaanxi, Shanxi, Inner Mongolia and Ningxia Hui (semi-autonomous) provinces. Northern and western China (watetechnology.net). The South-North Water Transfer project aims to help alleviate northern China’s water shortage. This shortage is perpetuated by water pollution, grossly inefficient infrastructure, overuse of clean water resources and climate change (drought and lack of precipitation). Upon building the SNWT however, localized environmental degradation has increased. The starting point, transfer point and end points have distinct impacts on local habitats and geophysical characteristics. Unfortunately, much is not known about environmental effects since the Chinese government has not rigorously studied the matter. Eastern Route: Saltwater creep up the Yangtze estuary, silt and sediment movement and re-depositing in the lower Yangtze and salinization and alkalization of the channel bed in the transfer region. Central Route: Heightening of the Danjiangkou Reservoir, leading to surrounding inundation of settlement and habitat and the diversion canals, from requisitioned land on the North China Plain. Western Route: Negatively affects the Tongtian, Yalong and Dadu rivers (Dadu being one of the most important tributaries on the Yangtze) (Liu and Wan, 2001). From 2000 to 2009 Chinese water reserves dropped by 353 billion cubic meters, a 13% decline; 80% of China's freshwater reserves are held in its southern watersheds. In 2011 water returned to its 2002 levels, in consequence from conservation and regulation. However, this won't last very long in the face of increasing growth due to the rebound effect of conservation and climate change. Communities on the giving end of the SNWT project realize this, Sichuan province recently filed an official objection with the national government concerning the western pipeline (Jaffe and Schneider, 2011). Not only are water levels dropping but the water that is there is wildly polluted. On the Eastern route, water from the lower Yangtze is too polluted for industrial use, never mind municipal standards, even after its gauntlet through 400 water treatment facilities aimed at cleaning up the river’s pollution. (Jaffe and Schneider, 2011). This water even damages land where agriculture uses it for irrigation. China’s Ministry of Land and Resources estimates that toxic wastewater has polluted 10 million of its 120 million agricultural hectares, 133,000 hectares has been destroyed by solid waste and 10 million metric tons of grain is destroyed by heavy-metals annually (Schneider, 2012). Southern China: Sub-Tropical forest, Temperate. Act: The South-North Water Diversion project, incorporating its three eventual routes, is the “act” in two forms. First, in the most immediate way it affects the local and regional hydrological environment for both humans and the natural world. Second, it is more or less acting in response to climate change (compounded by China’s water mismanagement and high growth rate) whereby water must forcibly be moved into areas it’s needed, not necessarily where it naturally resides, thus creating imbalances in the system and may lead to unknown consequences. Few. Difficult to both count and attribute to climate change's negative effects. Mostly in Xingjiang province, western China (Escobar, 2011). According to the IPCC, northern China will face more acute impact than the rest of the country by climate change. Between 50 to 60 percent of the flow in Asian rivers originates from Himalayan glaciers and this flow of water is expected to decrease by 25% by 2050. For the Chinese government, it's difficult to build large-scale water projects simply because it's not possible to predict future stability in water supply in terms of volume and location (Moore, 26). There are two ways violent conflict may erupt. 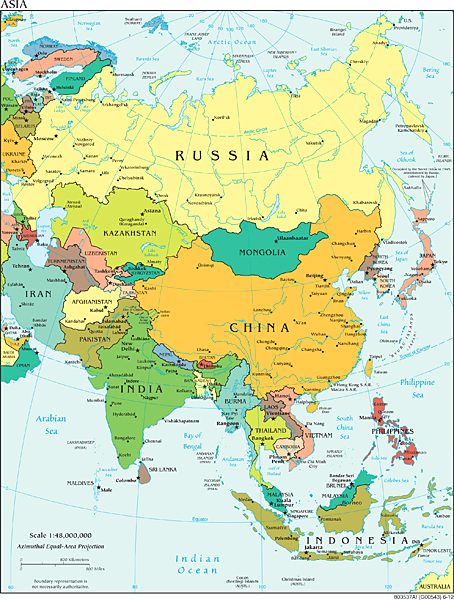 The first is internal, most likely between ethnicities; the northwestern part of China has a heterogeneous population. Tension between the Han majority and Tibetan and Uyghur minorities in in this part of China can (and in isolated instances does) trigger conflict over perceived favoritism for Han businesses and industry. The Chinese government's policy over the last decade of moving Han Chinese into the west for settlement which pushes locals out of employment opportunities and provides room for contact that escalates tension. Environmental refugees may move to western China, agitating minority relations or minorities in the west may push to the east, risking clashes with the Han majority. Additionally it is important to note, concerning the SNWT project, it numerically helps the Han Chinese population more than any other population. Second, and less likely, interstate conflict could be triggered by a water feud over the runoff from glaciers in Tibet. China's dam building program on the upper stretches of the Mekong River might aggravate tension over the lack of water for China's neighbors. This is analogous to Egypt's dam building on the Nile and its negative effects on relations with Sudan. In this diagram, climate change increases the intensity and frequency of droughts and floods. Droughts can increase flooding also due to its negative effects on soil absorption. This in turn reduces agricultural land. Drought will reduce the water supply as well, decreasing the capacity of farmers to grow more crops and potentially ruining existing yields. Reduced water supply will also harm the local ecosystem, there by harming the land's symbiotic relationship with its natural inhabitants. With less arable land, fewer crops are grown and must be imported, reducing GDP and the scale of agriculture's comparative share of the economy. The SNWT project helps the economy put is predicated on available water reserves in the south, clean river water and its delivery success. A poor economy can increase migration, which destabilizes the population. Flooding also can directly have negative effects on social order if it is perceived that the government has neglected its responsibility in any way. Finally, climate change directly has had an influence on whether the SNWT project was built. It was planned in the 1950s before climate change was noticed or relevant but recently provided more pressure for its final completion. Unforeseen: Xinjiang violence is low-intensity and small scale, questionable relation to climate change and water security. “South-North Water Diversion project, China.” watertechnology.net.